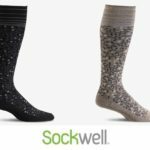 Sockwell socks are made with Cashmerino®/Homegrown American fine merino wool and Rayon from Bamboo. Cashmerino® provides natural thermoregulation and moisture management. It is super soft, durable, and resilient. Rayon from Bamboo is a renewable fiber blend which balances durability and environmental friendliness with thermoregulation properties of wool and luxurious bamboo. Compression socks feature high performance Cashmerino®/Rayon from Bamboo, triple zone graduated compression, and seamless toe closure. Diabetic socks feature relaxed fit and non-binding and no shearing fit, ultra smooth toe closure, and moisture managing, odor, and blister-resistant fiber combination. Plantar Ease Quarter socks provide firm support to the Plantar Fascia and the Achilles Tendon and applies pressure that encourages blood flow upward to reduce swelling which ultimately minimizes pain and discomfort. These Are Not Your Grandma’s Socks! Having lower limb conditions shouldn’t mean you have to wear orange-toned, institution-style socks! 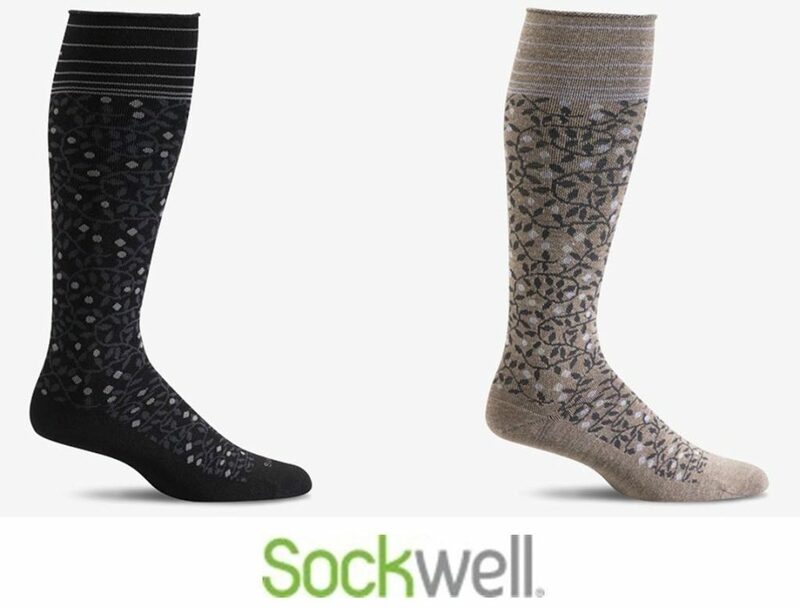 Our new Sockwell brand socks feature styles, colors and patterns that bring a fresh spin to your feet. Be well, in style! 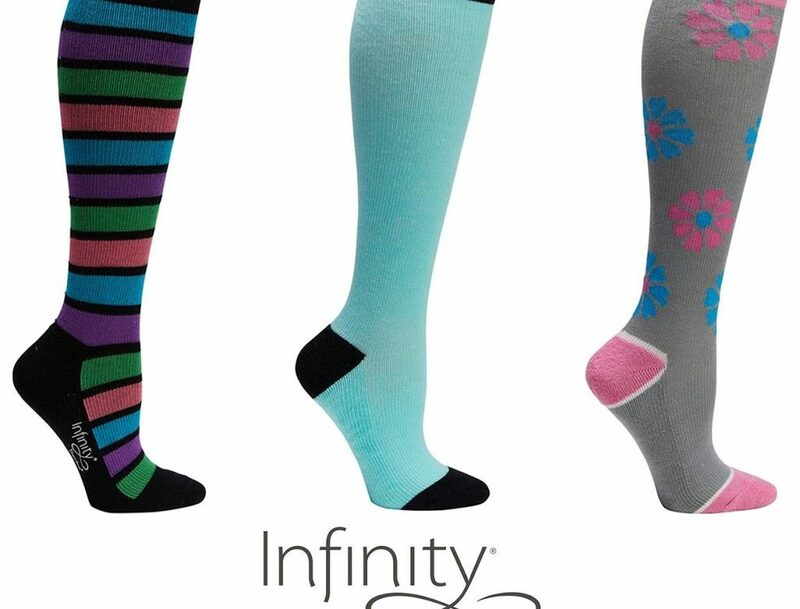 These socks feature non-binding comfort top for reduced sock lines, comfort arch support, seamless toe closure, reinforced heel, and spandex throughout the sock to ensure proper support and fit all day long. Sockwell socks are made with custom crafted high performance fiber blends that provide natural thermoregulation, odor control and moisture management. All fiber blends feature merino wool, bamboo, stretch nylon and spandex throughout. 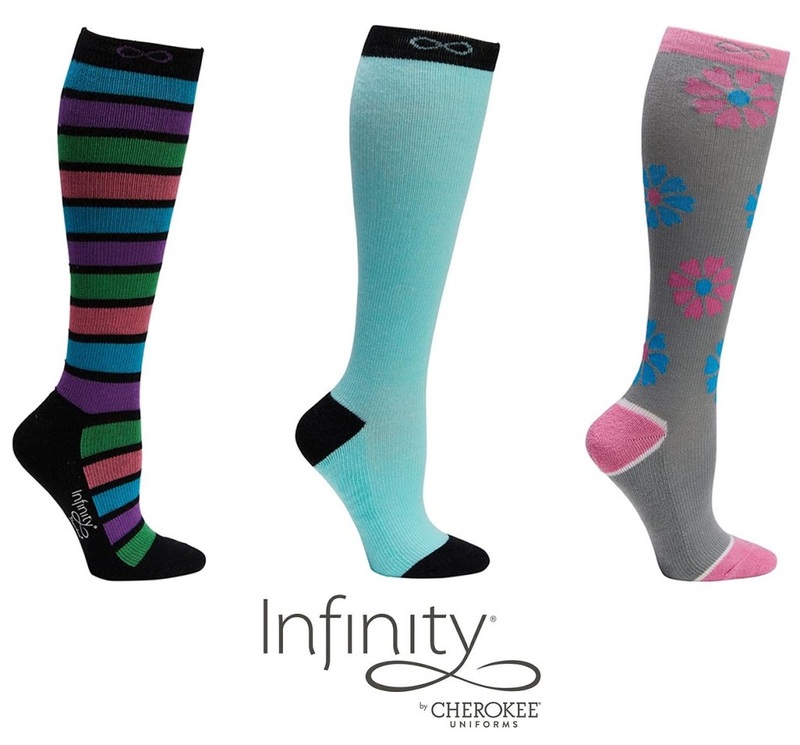 Compression socks feature 3 zones of 15-20mmHG compression levels for increased circulation. Great for travel, those on their feet all day and more! Diabetic socks feature relaxed fit leg, protective pressure dispersing cushion and extra softness for sensitive feet. Plantar Ease Quarter socks are for plantar fasciitis and firmly support the plantar fascia and the achilles tendon by applying pressure that encourages blood flow upward. Compression socks help distribute the pressure of being on your feet all day and maximizes the blood flow from the leg veins back to the heart. This helps alleviate leg swelling, pain and fatigue. 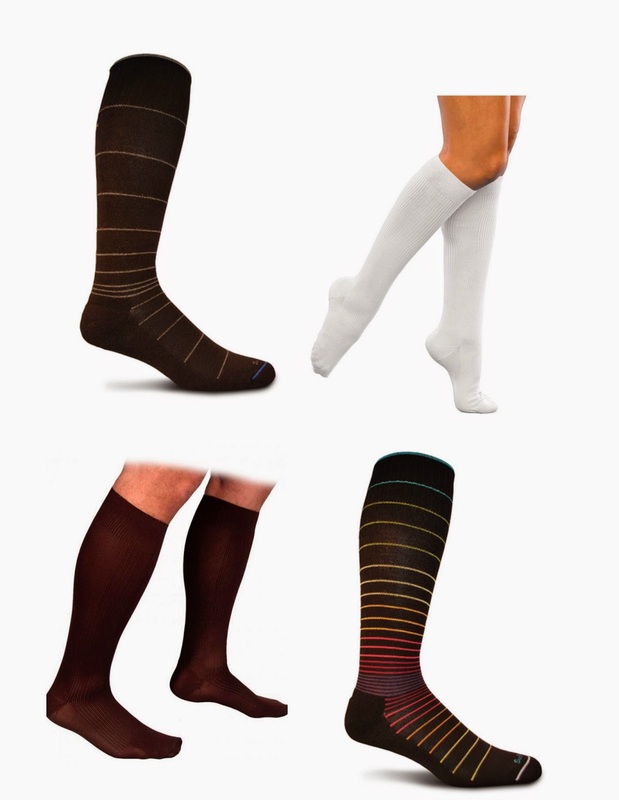 Light compression socks come in a variety of colors and styles. Click HERE to shop light compression socks now! These Aren’t Your Grandma’s Compression Garments! Compression revisited. Let’s take a moment to refresh or reset our thinking about compression garments, shall we? Compression garments push dilated vein walls back into place, enabling veins to close properly and function more efficiently. This results in increased blood flow, reducing leg swelling, pain, fatigue and risk of blood clot formation. Exact fit is critical so that pressure is distributed in a graduated manner and blood flows from the leg veins back to the heart. All retailers selling compression garments should have professional fitters, and the best time to measure is in the morning when swelling is at its lowest. Light compression garments (for travel or those on their feet all day) do not require a prescription from your doctor, but higher compression does (for venous disease or other conditions), so talk to your doctor. The good news is that today’s compression garments are sheer, lightweight and barely distinguishable from regular fashion stockings!